This one bedroom apartment is located in a converted loft building in the Flatiron District of Manhattan overlooking Madison Square, the start of Madison Avenue and the Empire State Building. 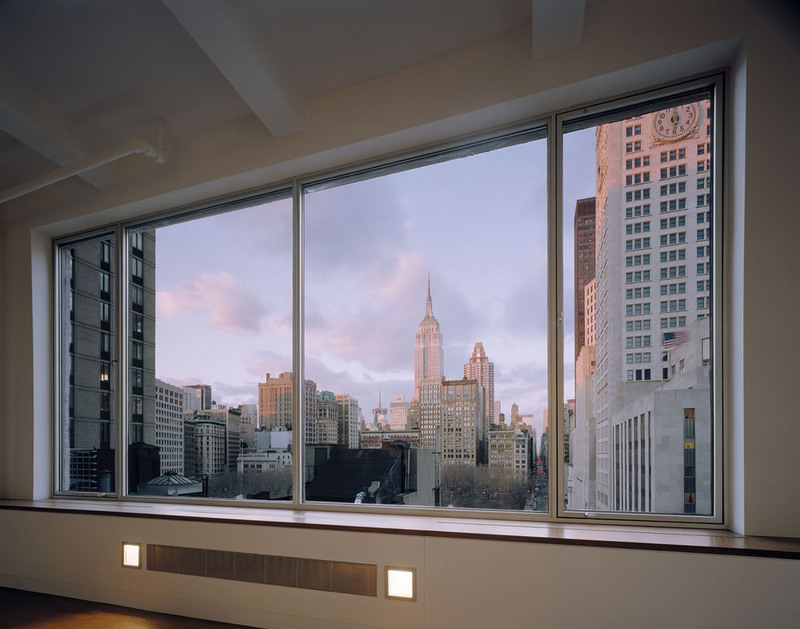 The project involved a gut renovation interior fit-out including the replacement of the windows. In order to maximize natural light and open up views from the apartment, the layout is divided into three "layers" from enclosed to semi-open to open. The bedroom is set back as far as possible within the central layer so that the living room can occupy the entire width of the window wall. The bedroom was designed to be a flexible space that can be completely open to the living room and kitchen during the day, creating one large space, but enclosed at night. 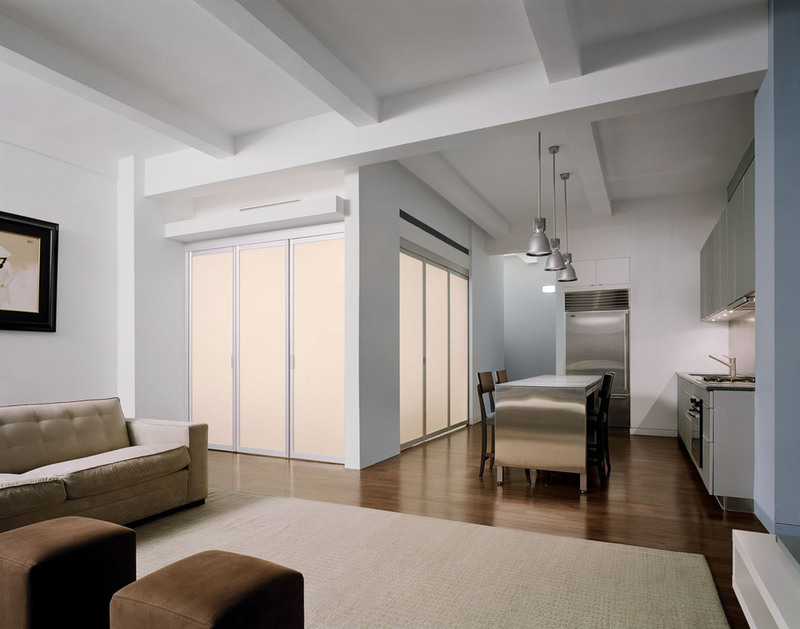 This is achieved with sliding and folding glass doors on two sides of the bedroom that can be partially or completely opened as required. 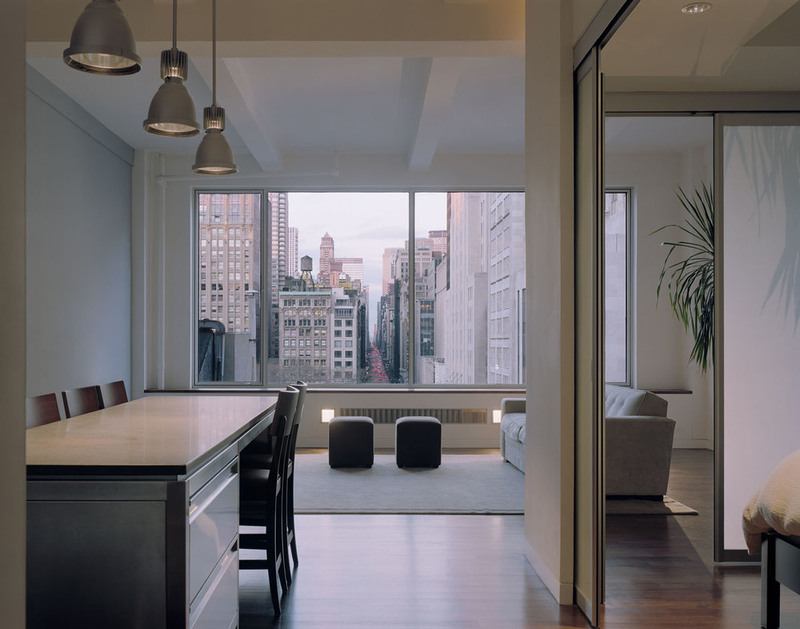 The open plan kitchen is focused on a long island that acts as a food preparation area, workspace and can be extended to create a dining table projecting into the living room. The bathroom acts as a counterpoint to the light, open plan design of the rest of the apartment, with a sense of luxury provided by the finishes, the generous shower and bath and three separate lighting systems that can be used together or individually to define the mood of the space. 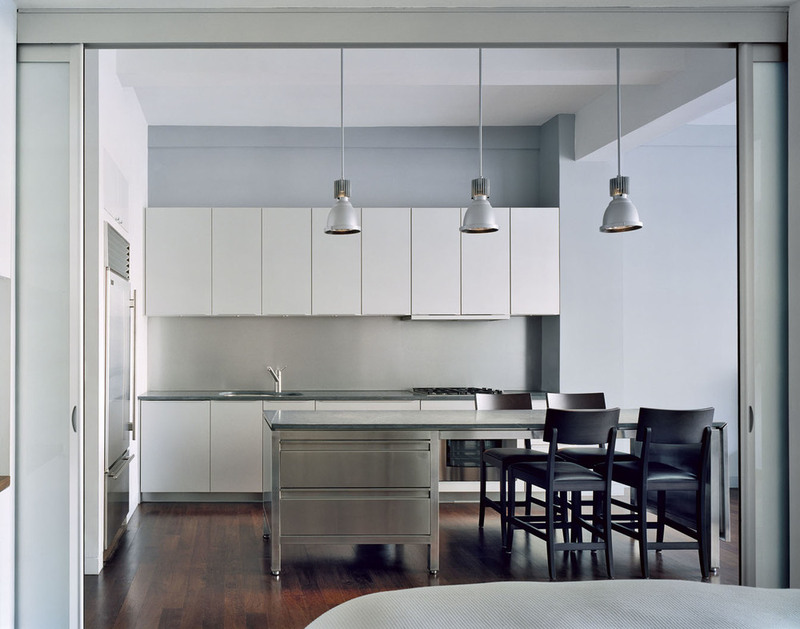 The materials throughout the apartment are a simple palette of glass, metal, stone and wood.